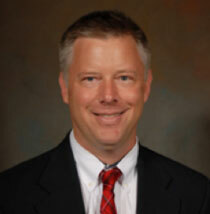 Thomas Britt is a professor of psychology at Clemson University. He received his Ph.D. from the University of Florida in 1994 before entering active duty as a research psychologist in the U.S. Army, working for the Walter Reed Army Institute of Research. He left active duty in 1999 and joined Clemson University in 2000. His current research programs investigate how stigma and other barriers to care influence employees in high-stress occupations seeking needed mental health treatment, and the identification of factors that promote resilience among employees in high-stress occupations. His research has been funded by multiple grants and contracts from the Department of Defense and the intelligence community. For more information, see Dr. Britt's Website. Thomas received a three-year grant from the Department of Defense in 2010 to examine the determinants of mental health treatment seeking among military personnel, and to develop training that would change the unit climate associated with the receipt of needed treatment. A well-documented finding among the U.S. population is that many individuals with mental illness fail to seek treatment that could improve their quality of life and productivity. Thomas' research examines the barriers and facilitators of individuals seeking needed mental health treatment, and the development of interventions to promote the timely receipt of treatment seeking. His research highlights the importance of changing the mechanisms for delivering effective mental health treatments in order to reach large numbers of individuals in need.